Gurgaon-based Private Limited company had lost data from its desktop computer due to Ransomware attack, which encrypted their Seagate hard drive with strong RSA algorithm. To decrypt the drive, they required the decryption key from the virus developer by paying an exorbitant ransom. The client employed the desktop computer for performing its accounting task using a Tally Software. Hence, the data stored on the desktop drive was mostly Tally files. After the Ransomware attack, the client could not be able to open those files. In addition, the company had no backup. Owing to the importance of the Tally data, the client required to recover these encrypted files quickly with complete confidentiality. Moreover, the company did not want to pay the ransom. 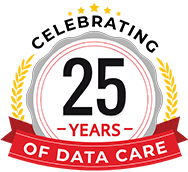 For that reason, they contacted Stellar Data Recovery—one of the most trusted data recovery company in India—to get back their lost data. 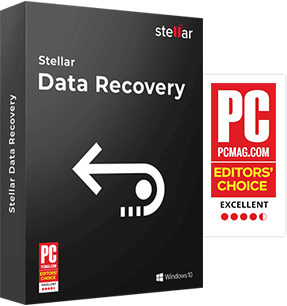 Our client called Stellar Data Recovery – Gurgaon headquarters to inquire about our services, charges, and data recovery time. We conveyed the information and suggested to visit our Gurgaon Data Recovery Center with the drive for initial diagnosis and recovery. The client visited the branch and submitted the drive. Our data recovery team took the drive and performed the initial analysis. They found that the storage medium had a logical problem; nevertheless, the drive was accessible. We communicated the report to the client and requested to provide the details of the required data. Once receiving the approval for data recovery and the requirement, our team created a clone of the drive because they did not want to work on the original medium as a precautionary measure to avoid further damage to the drive. During the recovery process, our team faced the challenge to collect encrypted data from the virus-infected drive. Next, the technical team performed recovery of the Tally files from the Ransomware infected hard drive. The whole recovery process took 3 to 4 days to complete. Felicitation goes to Stellar Data Recovery Gurgaon Team for the successful data recovery.